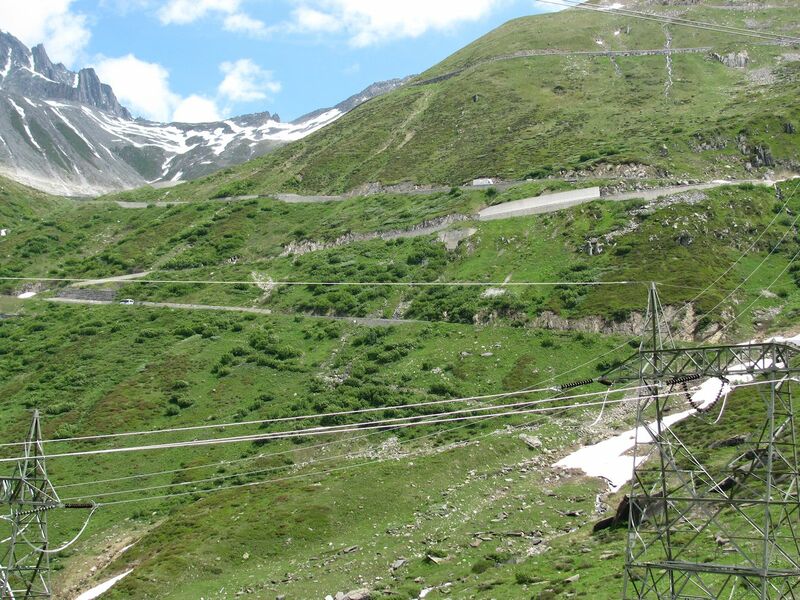 Das Loop #3: Nufenen Pass. Super-high but Easy to Drive. 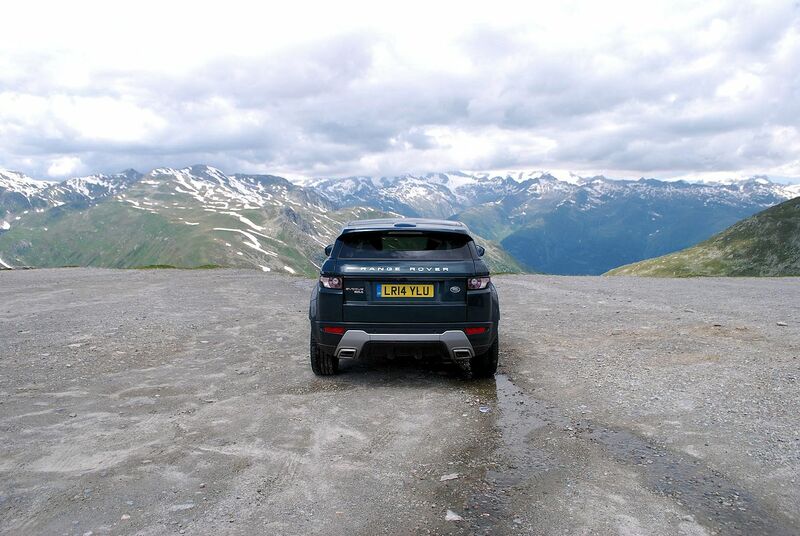 Switzerland’s Nufenen Pass might be super-high but it’s easy to drive with some great views, especially if you know what you are looking at (and are lucky enough to see it). 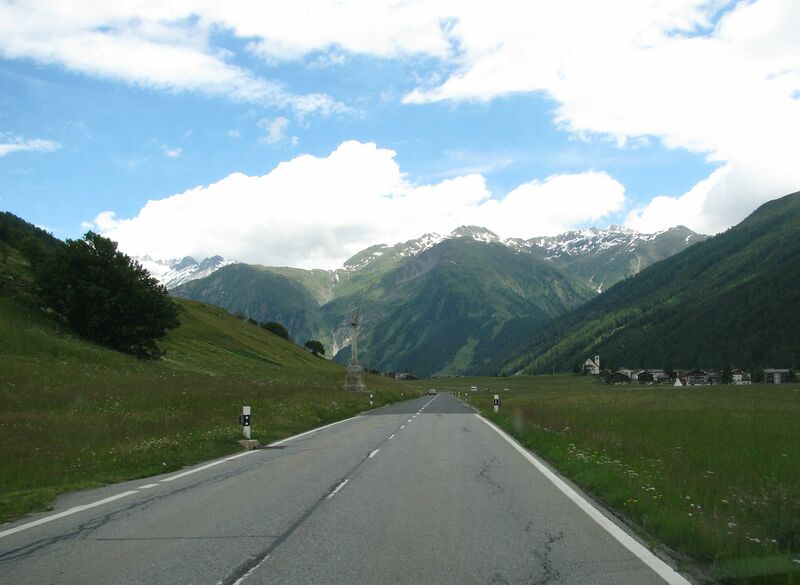 Nufenen (13%, 2478m) is Switzerland’s second highest mountain pass (after Umbrail, 2501m) and the highest wholly within Swiss territory. 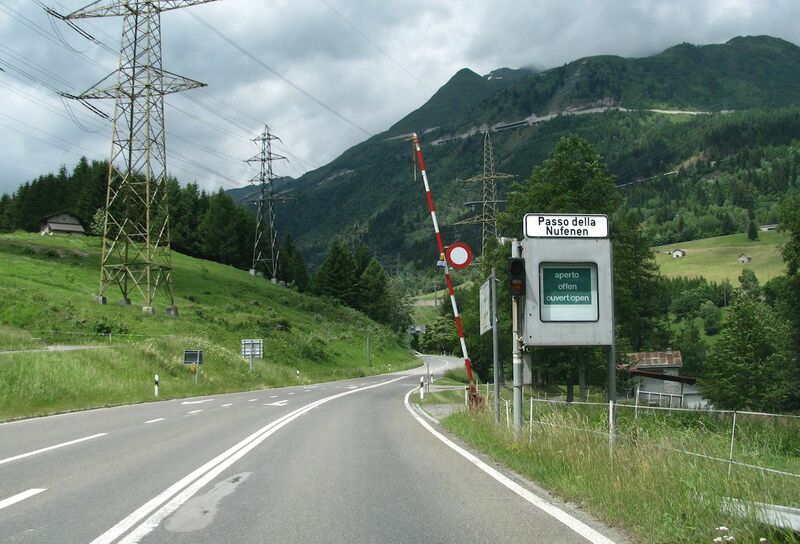 It runs 24 miles east-west between Airolo in Ticino and Ulrichen in German-speaking Valais. You wouldn’t know Nufenen was so high from the gentle, long ascent up the Bedretto Valley (Bedrettotal), named after the small town along the way. Bedrettotal is also the source of the River Ticino which gives the region its name. It flows south into Lake Maggiore, then into the Po River south of Milan and east to the Adriatic near Venice. We can’t vouch for what it is like at the height of summer but when we visited in early July we had the place virtually to ourselves. 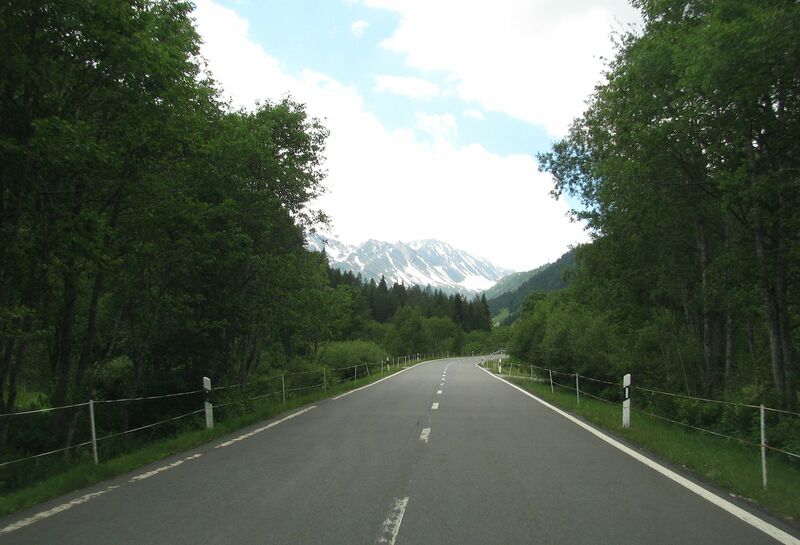 Unlike all the other passes on The Loop – all main cantonal H roads – Nufenen Pass is a minor, local road. We can’t even find a number for it. First paved in 1969, hence the concrete block construction, Nufenen is in excellent condition, wide and smooth. Looking back down the Bedretto Valley from near the top. 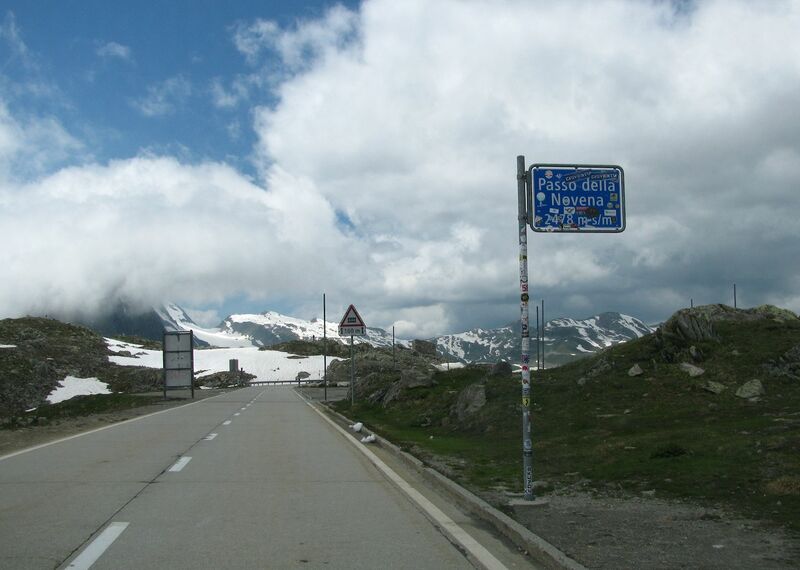 Passo della Novena, 2478m (8,129ft). 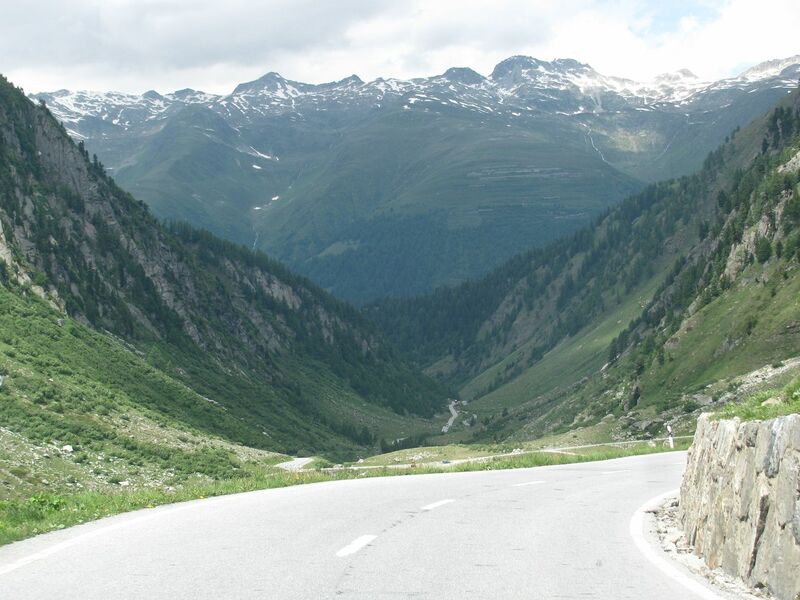 No you haven’t come the wrong way (there is no other way apart from the mule track Passo San Giacomo) it’s just the Italian spelling of Nufenen. A novena by the way is nine consecutive days of religious observance for a saint. San Giacomo runs down to the Italian border, less than a mile way. You’d be lucky to be there on a clear day; it’s so high the summits are often obscured by cloud. The highest peak to the immediate north is Pizzo Gallina (3061m) and to the south Nufenenstock (2866m), both in the Lepontine Alps. Along with the café at the top, all are right on the Ticino-Valais border. The big prize is Finsteraarhorn (4274m – 14,022ft) to the north west, the highest mountain in the Bernese Alps. Behind to the left is Jungfrau (4166m) and to the right (the) Eiger (3970m). Nufenen is quite a bit steeper on the way down but never loses its benign nature. The valley walls are sheer in places, and there aren’t always barriers, but there is always a hefty lip at the edge of the road. Without hesitation we recommend it for people looking for that ‘top of the world’ feeling but who don’t fancy the vertiginous drops normally associated with getting there. The scale is quite impressive. See that tiny car making its way up. 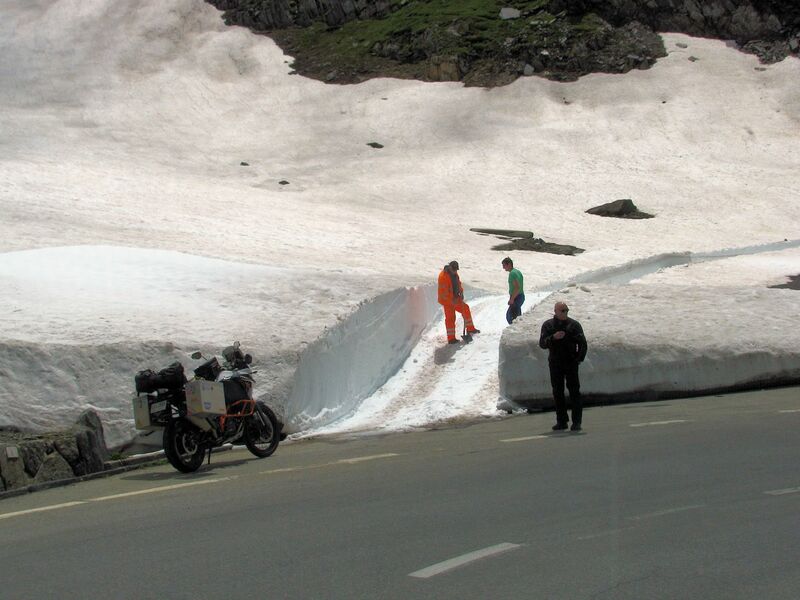 These chaps are starting to clear snow from the off-shoot road to Griesee, a lake fed directly by the 5km long Gries Glacier. The southern edge of the lake is around 100m from the Italian border. 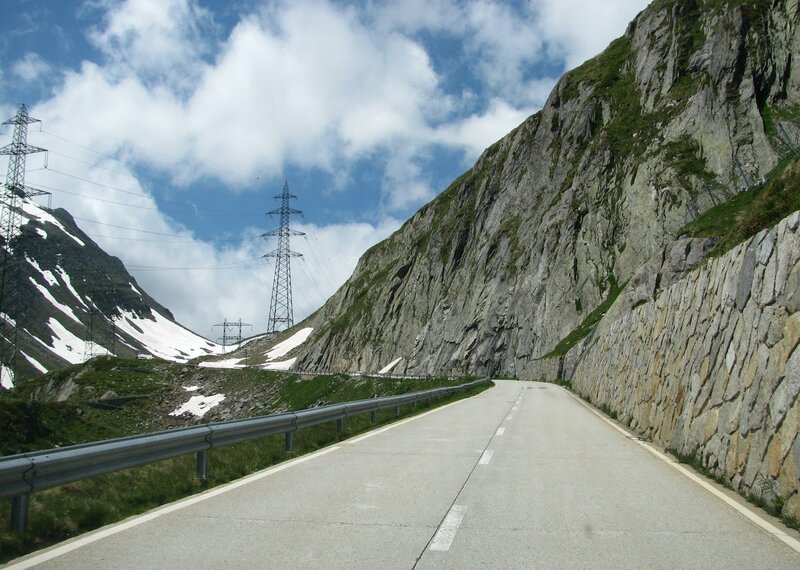 Due to the height, Nufenen is one of the last Swiss mountain roads to open for the summer, normally by mid-June. Nufenen is also a watershed but in the east-west sense. Whereas the Ticino flows into the Adriatic, the Aegina – via the Aegina Valley, Aeginatal – heads into the Rhone, Lake Geneva, south east France then the Mediterranean. 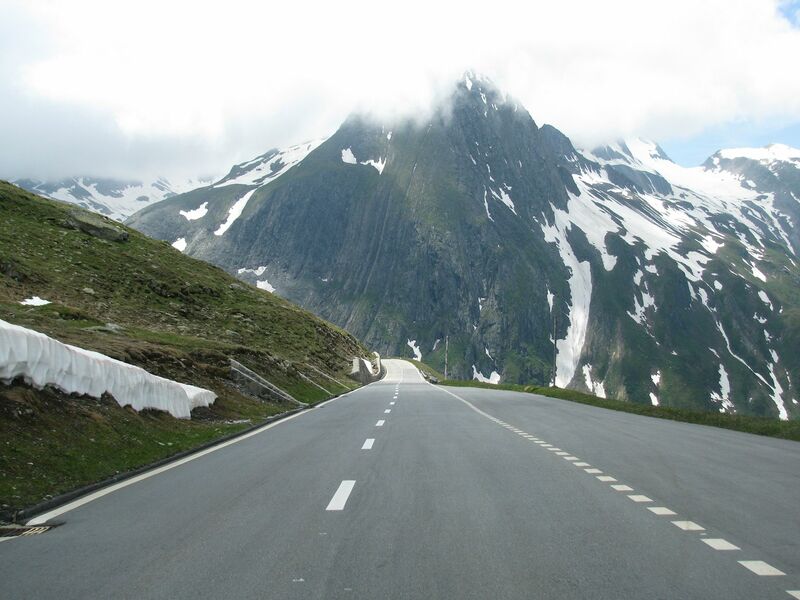 In theory, driving into Ulrichen from the east puts you head on to Finsteraarhorn… Now turn right for the – incredible, other worldy – Grimsel Pass. 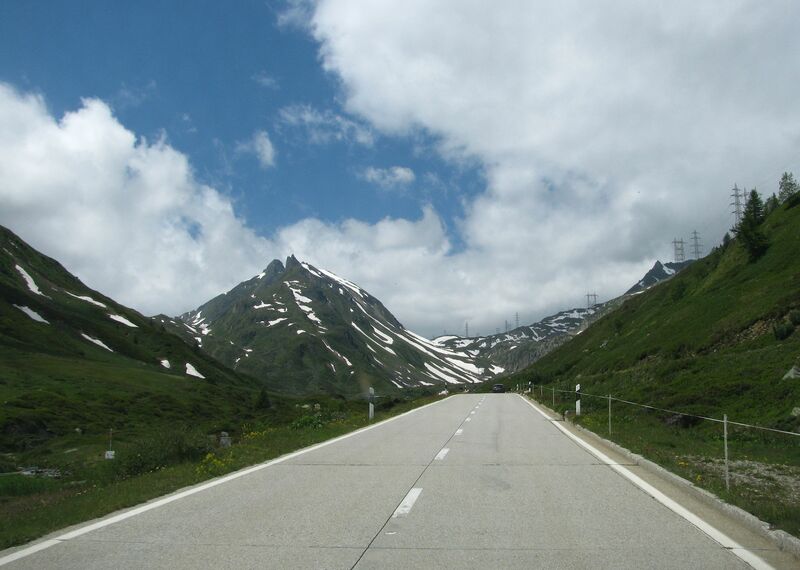 Nufenen Pass is the third road on ‘The Loop’, six mountain passes all centered on Andermatt in south central Switzerland. 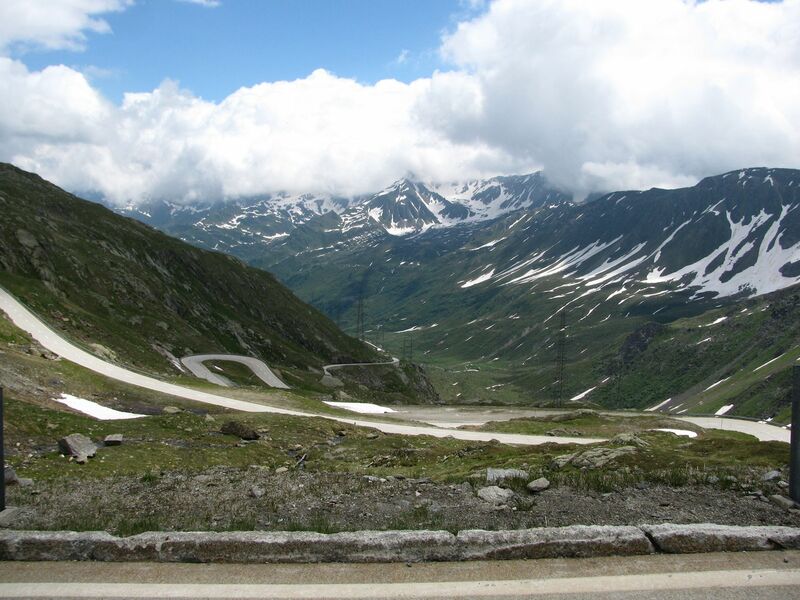 See here for the first two, Gotthard Pass and Tremola, or here for Grimsel Pass, Susten Pass and Furka (coming up).